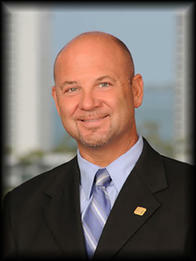 Mark is a vice president and business banking market manager for Fifth Third Bank of South Florida. In this role, he oversees a team of relationship managers who successfully service businesses with annual revenues between $2MM - $20MM. His group leverages his over 17 years of banking experience to boost the financial productivity for area business owners and their employees. With his insight, resources, and direction, Mark's team is committed to delivering smart lending, cash management, payroll processing, and payment services solutions to area businesses. Mark was born and raised in Buffalo, NY and relocated to Sarasota, FL in 1994. He was blessed with three boys and is very busy with all of their high school activities. In his free time, Mark enjoys to be in the quiet outdoors, especially on the beach or fishing in the Gulf of Mexico. He also stays active in his community through his support and service of various charities including the United Way, Beams of Grace, and the American Cancer Association.